This level have normal difficulty but could make problem in breaking jellies that are in top. To break these jellies you need to make striped candy on first row or make wrapped candy with striped candy to break these jellies. 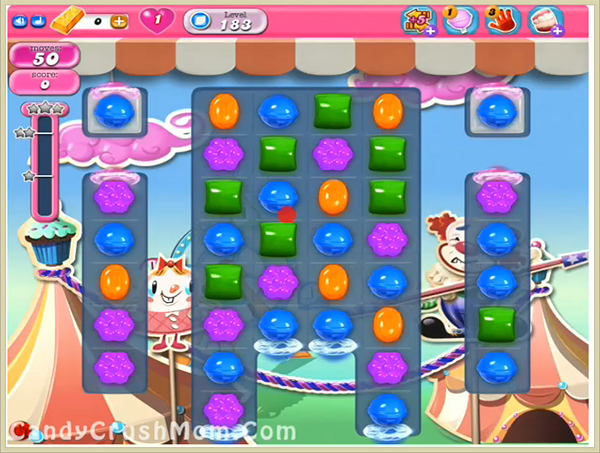 From start of this level you should first try to make colorbomb by combing same five color candies then combine colorbomb with striped candy to reach requirement before lot of remaining use. You could also use special candy or combo that I discussed before. We completed this level with 63100 score using colorbomb with striped candy combo that help to reach requriement within 37 moves.